One thing I consistently find to be true is that, from a legal perspective, 75% of people who are caught stealing and committing fraud are first time offenders. That’s not because it suddenly occurred to them that they could steal and supposedly get away with it; these are people who have been caught in the past but who were never prosecuted. That’s right – people catch other people stealing money and inventory from them and don’t use the law to prosecute them, whether for restitution or punitive reasons. People don’t prosecute for a few reasons. 1. It seems easy for us to say, “Oh my gosh. Someone was stealing from you? You had them arrested and sued them, right?” After all, if someone broke into your home and stole your grandma’s diamond necklace, you would sue them, wouldn’t you? Of course you would, but for some reason when people work for us and we feel like we know them, we want to forgive them and not mess up their lives, so we fire them – but we don’t prosecute. 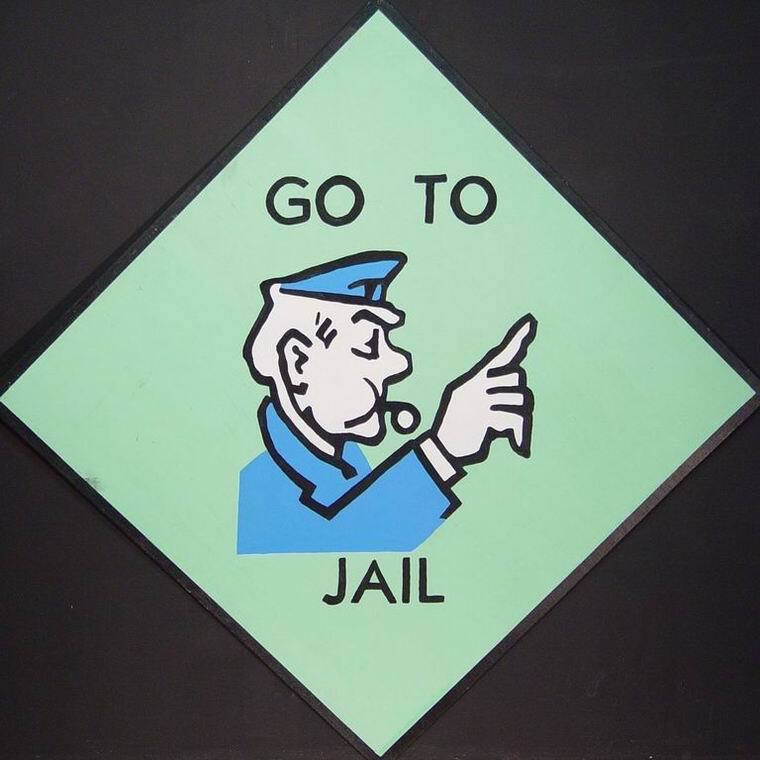 However, if people don’t go to jail, they don’t learn their lesson (this isn’t some legalistic philosophy I stick by – this is based on the experiences that I’ll flesh out more below and in future posts). 2. Prosecuting seems messy. It creates paperwork, involves lawyers, and it takes time, energy and more money, and you’d rather not lose more considering that someone’s been stealing it already, right? Wrong. You can get some of that money back if it can be had, and the mess is worth the trouble. 3. It’s embarrassing. People think it’s embarrassing that someone was stealing from them and they didn’t uncover it sooner. They don’t want other people to know, whether employees, the public, friends or family. They don’t want a big deal made, attention attracted, ill will and weird feelings. It seems icky somehow and people seek to avoid the associated feelings. What Are the Consequences of Not Prosecuting? When people don’t prosecute it hurts everyone and it’s bad for the larger business world. In the long run, when people prosecute it benefits everyone, from employers and industry to the average honest worker who deserves a job for which he’s not competing against thieves. One of the biggest problems of not prosecuting those who steal and commit fraud is that you can’t say to their next potential employer that they’re thieves. Legally, if you fire someone for theft but don’t prosecute in a court of law, you can’t say that he’s a thief. That means you have to say that you chose to part ways amicably or you will be seen to be impeding his ability to acquire gainful employment without legally proving the reason he doesn’t deserve it. The word that comes to mind here is poppycock! Prosecute thieves and those who commit fraud to ensure that you can tell future employers the information that they deserve to know. Then you can let those employers make informed decisions about who to let in their businesses. Again, those who commit fraud aren’t first time offenders – they’re just getting caught for the first time and prosecuted. Do us all a favor and make sure people are prosecuted for their crimes. Have you ever prosecuted someone for fraud? What happened? Have you ever chosen not to prosecute someone for fraud? Why not? As you may have read, some former Fed Officials are suggesting a new round of securities purchases to spur the economy. They claim that this move is in response to stifled job growth and continued recession issues. Well, I used a harsher word before, but this time I’m going with shenanigans. Purchase a new round of securities? Are you kidding me? Are they really shortsighted enough to think that this move will get the economy moving. This is part of the Fed’s old bag of tricks, but as we’ve seen before buying back bonds from the free market does not successfully stimulate the economy. Speaking of old bags of tricks, lets look at another one that’s equivalent to peeing in the ocean, which is to say that it adds liquid but doesn’t change the levels: stimulus money. 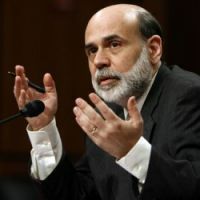 The Fed buys securities and the government provides stimulus money, right? The last round of stimulus money was effectively invested at 1/10th of 1% or used simply to pay down debt. In case I’m being obtuse in my exaggerated implications, I’m saying that people didn’t spend the money, and when they don’t spend money there is no economic spurring. Stimulus money is as effective as buying back securities . . . tinkling in the ocean, remember? These are just old tricks that don’t work. Everybody wants to see the economy jogged back into high gear (or gear? ), but as the fed said yesterday, it would hold rates for two years. This acknowledges that we’re going to be in a funk of an economy for at least two years. Rather than spending money buying back securities – old tricks – we need to cut spending in dramatic ways. For instance, end entitlement programs. Did you know that anyone who serves in Congress for any length of time gets health premium insurance forever? I ask again: Are you kidding me? We’re paying for this! This might also be peeing in the ocean but if we all relieve ourselves at once maybe the levels will change. If the Fed wants to “spur” the economy, then we all need to be patient, tighten our belts, stop government spending, get out of debt and then be led by a solvent, healthy government that can make wise decisions for its people. Last month was National Fraud Awareness month. This month is important, too. First, it’s Financial Literacy Month, and second – and I think quite complimentary – it’s Stress Awareness Month. On top of both of these issues, April 18th is also Tax Day (yes, it’s usually April 15, but due to a Washington DC holiday, we can all enjoy an extra weekend to squirm over our taxes). As you think about becoming aware of and learning to reduce your stress this month, I want you to also think about the role that finances have in your life – and your stress level. Most people stress about their finances, and much of that stress, I believe, comes from a lack of awareness about their financial situation and where it’s going. In business, if you don’t know where you are at every moment financially, you can’t move forward successfully in the long-term. I think this also holds true in one’s personal affairs, and I have no doubt that with financial knowledge comes a reduction in stress – or, if finances are bad, at least the ability to predict and therefore manage that stress with greater ease. In honor of both of these months – and taxes coming due – I encourage all of my readers and clients to do a few things this month, both in their businesses and their personal lives. 1. Make a budget or do some financial planning. This need not be professional consulting with a financial manager (though that’s always nice). Just get a better understanding about how much you’re spending and on what you’re spending it. You never know which areas of your spending could easily be trimmed. Though you may not “need” the extra money you free up, it certainly could be nice to put it towards that vacation you were looking to take, right? If you don’t know how to make a budget or you need some financial tips, consider financial magazines like Money (by CNN) or Kiplingers. If you are savvy with your financial management and awareness, make sure you’re passing these values along to your children (and/or employees) effectively. If you’re a business owner, consider offering a financial management and planning seminar for your employees. 2. Do something to de-stress yourself. If you’ve already done your taxes, great, and even if you haven’t, reward yourself with something de-stressing afterwards like a massage, weekend trip or a day off. Becoming aware of our stress is the first step to reducing it, and with reduced stress comes a greater quality of life. 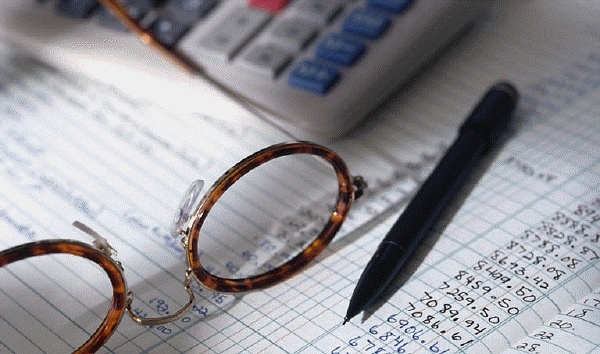 Better financial knowledge and management almost always reduce stress. What will you do to raise financial awareness in your life this month? What will you do to de-stress?